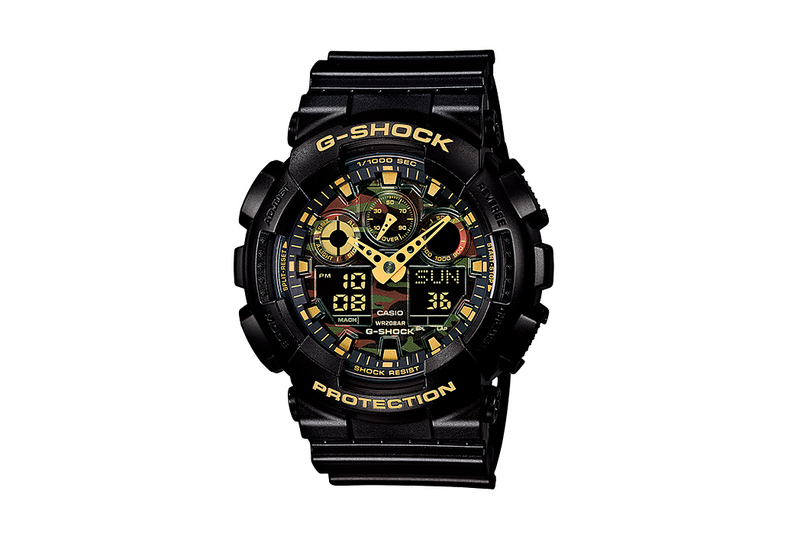 Casio G-Shock’s classic GA100 wristwatch gets a makeover with the premiere of its "Camo Dial" collection. The three piece range comes in glossy black and a traditional camouflage dial and gold accents. 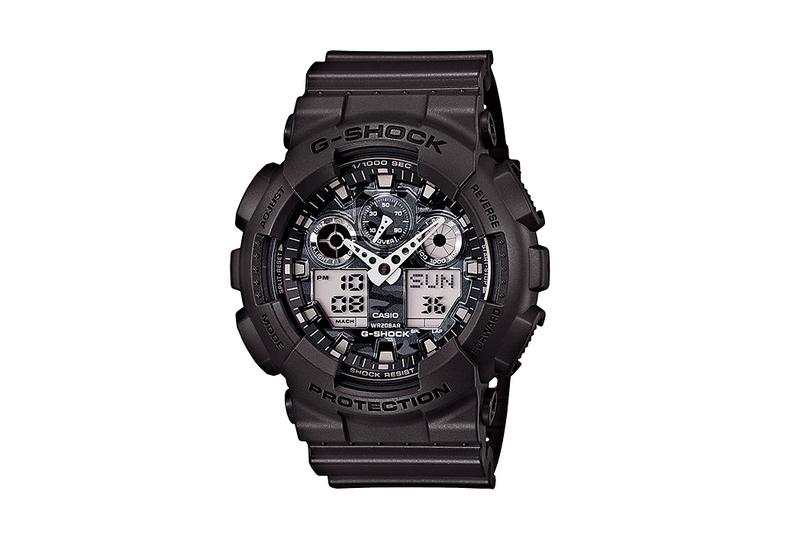 It features a shock, magnetic and water resistant resin construction, stopwatch, LED backlight, countdown timer, full auto-calendar and much more. Priced at ¥15,000 JPY (approximately $147 USD), the Casio G-Shock GA-100CF “Camo Dial” collection will release at select global outlets in the coming weeks.